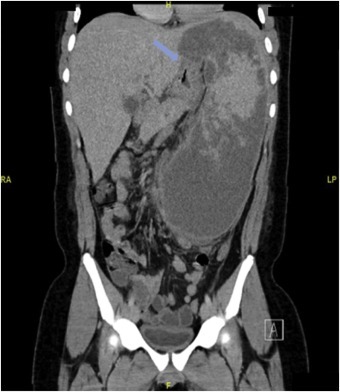 As reported in International Journal of Surgery case reports, Volume 57, we are presenting a rare case of a 15-year-old boy with undiagnosed sickle cell trait with splenic sequestration crisis as first presentation of his disease. This was complicated by splenic abscess formation. Gastro-Splenic fistula was not apparent in computed tomography and upper gastrointestinal endoscopy findings were misinterpreted initially, which lead to delay in diagnosis and management. The patient was managed initially with antibiotics, followed by splenectomy and partial gastrectomy. The patient had a smooth recovery period and was discharged home 10 days post-operatively.